look for a company where you can provide great value. Don't even consider taking a job you are not qualified* for, unless that is part of the explicit agreement. Don't take a job you can't do, and don't take a job under false pretenses. 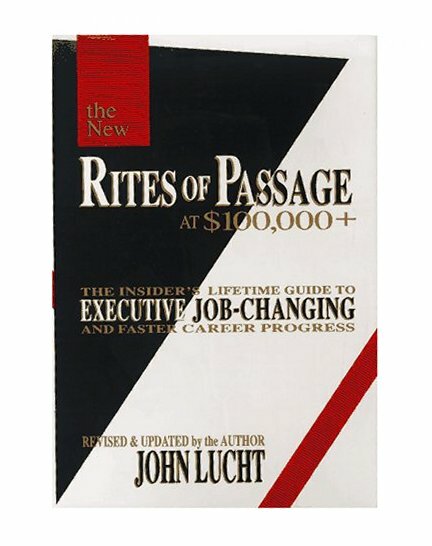 Rites of Passage by John Lucht, is my favorite book about changing jobs. It is a very revealing exposé on how professional recruiters work and what goes on in the hiring process. It is full of unconventional advice about getting a good deal when landing a job. It was lent to me by a former client, Will Wolf, when I had lost my job. He was practicing the smartest job hunting skill there is - helping other people find jobs. In life and business you reap what you sow. This is inescapable. Go out of your way now to help steer people to jobs and to steer paying work toward colleagues. Return recruiters calls and give them a hand. When you hear of someone looking for work, ask for a copy of their resume and give them any advice you have. So many jobs are found through non-traditional methods now. Remember, the need for a new employee develops long before people go to the hassle and trouble of running an ad. Recruiting is a chore. A good résumé is a relief to a hiring manager in need. And remember that HR is not a goalie. They are a looking to make a hire. They get no credit for how many applications they weed out. Recruiting is a match-making process. Be helpful now. Ease someone's pain. Help them give you a good job. * Note that being qualified for the job is different than meeting everything in a job posting. Job postings are idealistic, optimistic, overly specific descriptions that do not reflect the actual qualifications needed.